Welcome to our Top 10 drones under $50 article! The era of drones has begun. The industry is here to stay. Quadcopters, hexacopters, octocopers, the amount of motors determines its category. There are ambulance drones, delivering drones (Amazon uses a Phantom 2, although I think they have their own model now), police drones, army drones, and more will come has these sky monsters find their place in society. I bring to you the top 10 commercial drones under $50 cheap quadcopters you can purchase online, and what fun features do they have. For more great drones at a higher budget check our top 10 drones under $100 and Best drones under $300 articles. They all have great drones which will surely amaze you! The X12 was made for outdoor flights, if you prefer indoor flights pick Cheerson CX10 instead. The X12 is not begginer-friendly and lacks acrobacy (if that’s the function you prefer). But it has an amazing 100 meters of maximum distance, for a quadcopter this size and price that is quite impressive. Very fast, good for nano drone begginer races. It takes about 20 to 40 minutes to charge its battery, which is very good since it has a good maximum time of flight of 8 to 9 minutes. Take it to a park and enjoy it! The LS 112 is one of my personal favorite nano quadcopters, not only because it is a great improvement from it’s predecessor the LS 111 but also because it is better than its successor the LS 113 and LS 115. It only goes as far as 50 meters, but it is very stable comparing to other nano drones and it is also very acrobatic, so you can definitely do a couple tricks with it, like 360º rotations. It is also important to mention the quality of the package, it brings its on strong good looking case as shown in the picture. The remote is inside. The Syma X11C is one of your best choices if you are looking for a cheap quadcopter which is a good flyer and also able to record video. The camera is unmountable, meaning it is attached to the drone and you can’t take it out. Its flying time is between 6 to 8 minutes depending if you are recording or not. It comes with a 3.7V 250mAh Battery, in my opinion it could be better, they could have used a 5000mAh to increase its flying time. If you do not wish to record videos you can always pick the Syma X11 version, it does not come with a camera, making it lighter, more acrobatic and faster. The most surprising is its range, it goes to a good 100 meter distance, which you would not expect from a quadcopter this cheap holding a camera. As you can see in the image it comes with a protection around its motors in case it falls. So you are safe, do not worry! The camera is 2MP so you will get some nice recording from it. Check the video to confirm. One of the best Micro quadcopters at the moment. With a good flying range of 100 meters, it is powerful in features, like headless mode (flight independent of direction) and automatic reverse! (Yes!). It also has a very decent 1MP camera attached to it (ou can’t take it out). It is a great stable flyer, you won’t have problems flying it, even as a begginer. Its maximum flight time is 7 minutes. I advise this drone to everyone who doesn’t have much money to spend but wants the complete experience of a small drone with a camera. It also comes with protects in case of falling. Hubsan X4 H107 comes in 3 version: H107L (without camera), H107C (with 0.3 MP camera), H107D(with First Person View camera). It is capable of flying to a good distance of 70 meters and is capable of a maximum flying time of 7 minutes. I do not advise the version with camera since its poor quality video and it does not record sound. Also its not very light which affects the quadcopter flying time. Nihui U807 is the perfect night flyer. This beast is the best when it comes to flying at night. Not only it flies perfectly it also has some cool colorful LEDs (check the videos). Very stable and beginner-friendly it can fly up to 12 minutes! Making it one of the low-cost under 50$ drones with the most “fly stamina”. It does not come with a camera but it has the option to attach one easily. 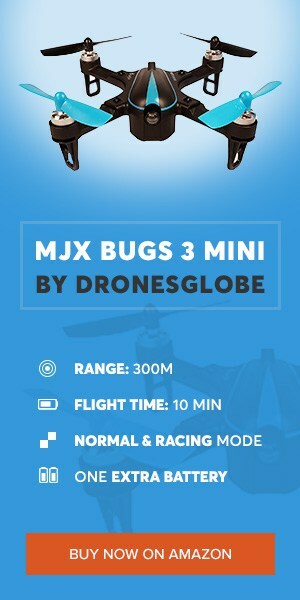 It is a little bit bigger than the other drones mentioned in this list (except for the Syma X5C1) but that also enables him to transport light small objects. Just for fun! Great range and easy to control, it is an excelent choice to take out to a day in the park or the beach. Thanks to its headless mode its easy for beginners to fly. It has a good 100 meters maximum distance and its light enough for you to perform some nice tricks like the 360º. It comes with a decent 2MP camera. Its best function is the one-key return, which makes it fly backwards in your direction. Syma is a big brand in the low-cost quadcopter business. Its X5C model is a huge success, and in 2014 it was upgraded to a newer and otimized version the X5C1. Its one of the most bought begginer drones, mainly due to its cheap price, user-friendly and stable flight. Perfect to learn how to fly a quadcopter. Able to fly both in and outdoor, its also capable of carrying light objects if you remove its camera. A 2MP camera with decent quality. It is easy to manuever even in windy days. Its only problem is the 50 meter maximum distance, Syma should increase its range. The perfect beginner drone. Amazingly cheap. Its flight range is amazing if we compare to other low-cost quadcopters. 150 meters! It flies to a distance of 150 meters! How good is that for a 30$ drone? It is very good! Thanks to its powerful Built-in 3.7V 600mAh battery it can fly for as long as 10 minutes. It does not come with a camera included but its able to suport a 808 or even a mobius camera. A very stable flyer, also capable of performing 360º stunts. One of the best deals you can find. It is very cheap and comes with a full complete package. Which I will tell you all about in a minute. Its 2MP camera is good quality (better than Syma X5C1). It is easily maneuvered, it won’t take you long to get the hang of it if you are a beginner. It is stable even when flying against the wind. Goes as far as 70 meter distance but with a simple range modification in the remote it can get and increase range of 120 meters. One of its features is headless mode, in other words, easier flying! Its package includes: – DM 007 drone, 2.4GHz remote, charger, 7.4V 380mAh li-po battery, 2MP camera, wings protector, MicroSD pen reader and a MicroSD card of 4GB!